Marijuana, or "pot," is a mixture of dried, shredded leaves, stems, seeds and flowers of the hemp plant Cannabis sativa, according to Drugs.com. It is usually smoked, but some users cook it into foods. The main active chemical in marijuana is called THC, which is delta-9-tetrahydrocannabinol. Marijuana remains the most commonly used illicit drug in the United States. It is believed to cause many effects if used long-term, including respiratory problems, heart effects, cancer and psycho-social disorders. The National Institute on Drug Abuse, or NIDA, states that numerous studies have shown marijuana to be an irritant to the lungs. Pot smokers, like cigarette smokers, can have symptoms such as a daily cough, increased phlegm production, more frequent acute chest illnesses and a greater risk of lung infections. The American Academy of Family Physicians, or the AAFP, reports that chronic use of marijuana results in epithelial damage to the trachea and lung airways. Drugs.com reports of a study published in "Molecular Psychiatry," which found that “smoking marijuana increases the body’s production of a protein that raises levels of blood fats associated with heart attack[s]." Dr. Jean Lud Cadet, the lead author of the report, said that the finding helps explain the increased risk of cardiovascular problems found in previous studies of marijuana. However, Dr. Christopher Granger, a professor at Duke University disagrees with this study, stating that the research group was small and the findings were not definitive. Dr. Kenneth Mukamal of Harvard Medical School concurs, claiming that marijuana's effects on the heart remain uncertain. He says that the drug may trigger heart attacks, but in mice it was shown to prevent atherosclerosis. It is still a debate. Marijuana smoke contains 50 to 70 percent more carcinogenic substances than tobacco smoke, says NIDA. Pot smokers also inhale more deeply and hold their breath longer, which increases the lungs’ exposure to carcinogenic smoke. A study done by the Fred Hutchinson Cancer Research Center and published in the online journal “Cancer” seems to have found that frequent and/or long-term users of marijuana had an increased risk of testicular cancer. Chronic pot exposure has multiple adverse effects on the endocrine and reproductive systems. The authors speculate that marijuana use may disrupt the natural cancer-protection responses usually present in the male reproductive system. Long-term use of marijuana can affect psychological and social functioning. The AAFP states that long-term use of pot may lead to subtle cognitive deficits. NIDA claims that in one study, heavy marijuana users reported that it impaired several important aspects of life, including physical and mental health, cognitive abilities, social life and career status. 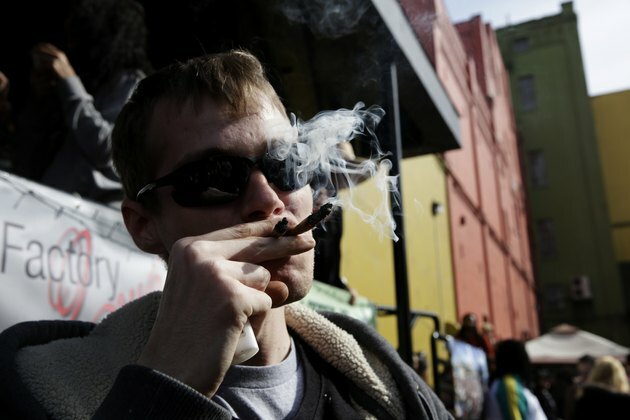 Drugs.com says that excessive, daily use of marijuana appears to affect memory, judgment and perception, and learning and attention skills might also be impaired. They report on a published study in “Archives of General Psychology” that showed that long-term heavy pot use causes significant brain injury, memory loss and psychotic symptoms such as delusions, paranoia and bizarre social behaviors.